The Army on Friday released the names of two aviators killed Wednesday when their AH-64 Apache helicopter crashed near Fort Campbell, Kentucky. • Chief Warrant Officer 2 Alex Caraballoleon, 35, of Patillas, Puerto Rico. Chief Warrant Officer 2 Alex Caraballoleon. Caraballoleon enlisted in the Army in 2003 as an Apache mechanic. 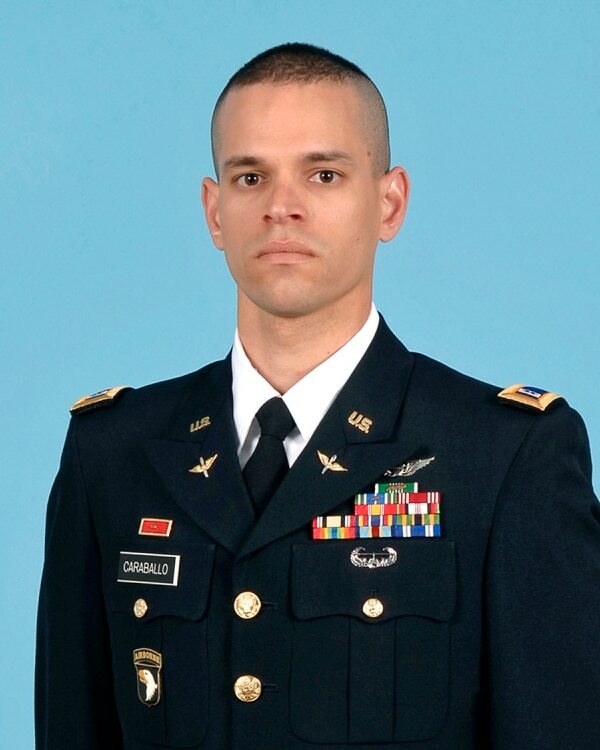 During his six years as an enlisted soldier, Caraballoleon served in numerous assignments and achieved the rank of sergeant before being selected to attend Warrant Officer Candidate School in 2009. After earning his commission and becoming an Apache pilot, Caraballoleon was assigned to the 101st Combat Aviation Brigade. He deployed twice in support of Operation Enduring Freeom and once in support of Operation Iraqi Freedom. His awards and decorations include the Air Medal, five Army Commendation Medals, two Army Achievement Medals, the Army Aviator Badge, the Combat Action Badge, the Air Assault Badge, and numerous campaign and service awards. Caraballoleon is survived by his wife and two children. 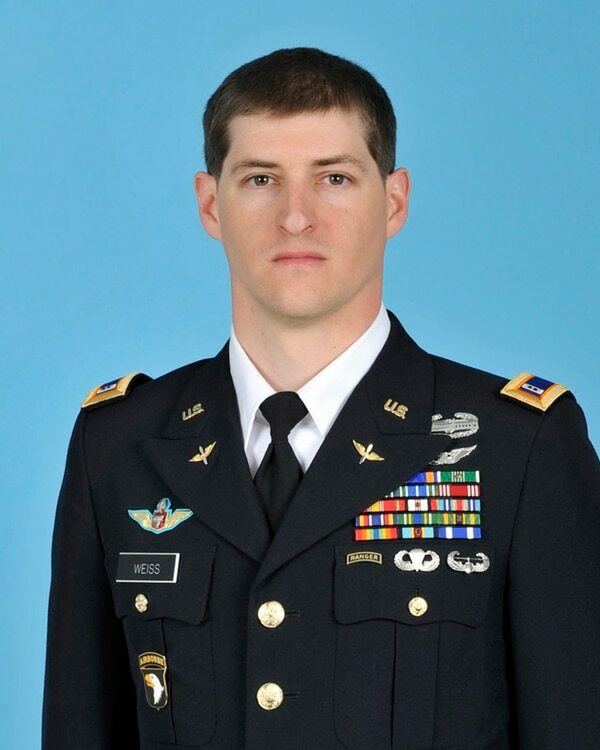 • Chief Warrant Officer 2 Kevin M. Weiss, 32, of McHenry, Illinois. Chief Warrant Officer 2 Kevin M. Weiss. Weiss enlisted in the Army in 2003 and served as a psychological operations specialist. He spent eight years as an enlisted soldier and was a staff sergeant when he was selected to attend Warrant Officer Candidate School in 2011. He deployed in support of Operation Enduring Freedom in 2014. His awards and decorations include the Air Medal, three Army Commendation Medals, the Joint Service Achievement Medal, two Army Achievement Medals, the Combat Action Badge, the Army Aviator Badge, the Air Assault Badge, the Parachutist Badge, the Ranger tab, and numerous campaign and service awards. Weiss is survived by his wife and three children. The crash happened about 7 p.m. Wednesday about 12 miles south of Fort Campbell. The aviators were on a routine training mission, officials said. The cause of the crash is still under investigation by the U.S. Army Combat Readiness Center. It was the third deadly Army helicopter crash in 10 days. Those crashes claimed the lives of eight aviators and led U.S. Army Forces Command to ground all its aircraft for a five-day safety stand down. The stand down, which was directed by FORSCOM commander Gen. Robert "Abe" Abrams, began Thursday and will last through Monday evening. It is the first FORSCOM-wide stand down of aviation assets in recent memory, and it affects active-duty aviators at 11 installations across the country. The stand down does not include aviation units in Europe, the Pacific or elsewhere around the world. "My decision to ground our aircraft today is taken with the utmost seriousness," Abrams said in a statement. "I have a duty to ensure that we are doing all that we can to prevent the loss of life and aviation accidents, and that is why we're standing down to review our procedures and reaffirm our commitment to operating our aircraft safely and effectively." Eight aviators have died since Nov. 23. 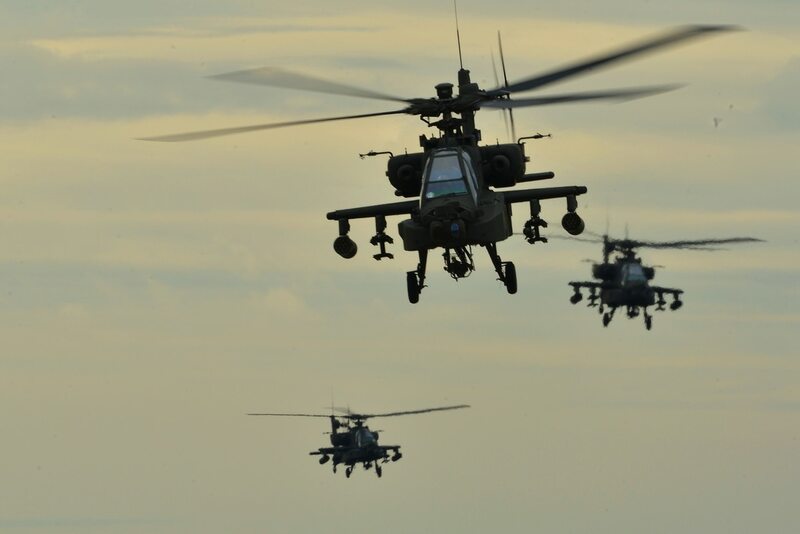 Two were killed when their AH-64 Apache helicopter crashed in South Korea. The incident happened about 6:30 p.m. local time, or 4:30 a.m. Eastern time, on Nov. 23 about 50 miles east of Camp Humphreys. The pilots, whose names have not been officially released by the Army, were on a routine training mission. They belonged to the 2nd Combat Aviation Brigade. On the same day, at 5:49 p.m. Central time, four soldiers died when their UH-60 Black Hawk crashed at Fort Hood, Texas. They also were on a routine training mission. • Sgt. 1st Class Toby A. Childers, 40, from Hays, Kansas. • Chief Warrant Officer 3 Stephen B. Cooley, 40, from Cantonment, Florida. • Sgt. 1st Class Jason M. Smith, 35, from Destrehan, Louisiana. • Chief Warrant Officer 3 Michael F. Tharp, 40, from Katy, Texas. "We cannot allow tragedy to pass unacknowledged," Abrams said. "We must do whatever is needed to make certain that our soldiers are training and operating safely."